JS Bach is famous for the complexity of his music, with the intricate weavings of musical voices that can make his music extremely difficult to play, particularly works that are written for a single instrument such as the harpsichord or piano. The Goldberg Variations are the ultimate in such complexity, being an aria and set of 30 variations, lasting over one hour. Originally written for a two manual harpsichord, they challenge the performer to deliver individual voices on an instrument for which the player has difficulty controlling variations in volume, unlike the piano which at least allows infinite volume variation through keyboard touch. One consequence of this has been the re-writing of the work for combinations of instruments, which reveal to the listener all the contrapuntal themes that are being played with greater clarity. As a prelude to this concert, a capacity audience in the Farnham Methodist Church greatly appreciated an illustrated introductory talk by the well known contemporary composer and lecturer Matthew Taylor, a Farnham resident. TBS music lovers then enjoyed the 1984 version of the Goldberg Variations for string trio written by Dmitry Sitkovetsky, a Russian musician of many talents. 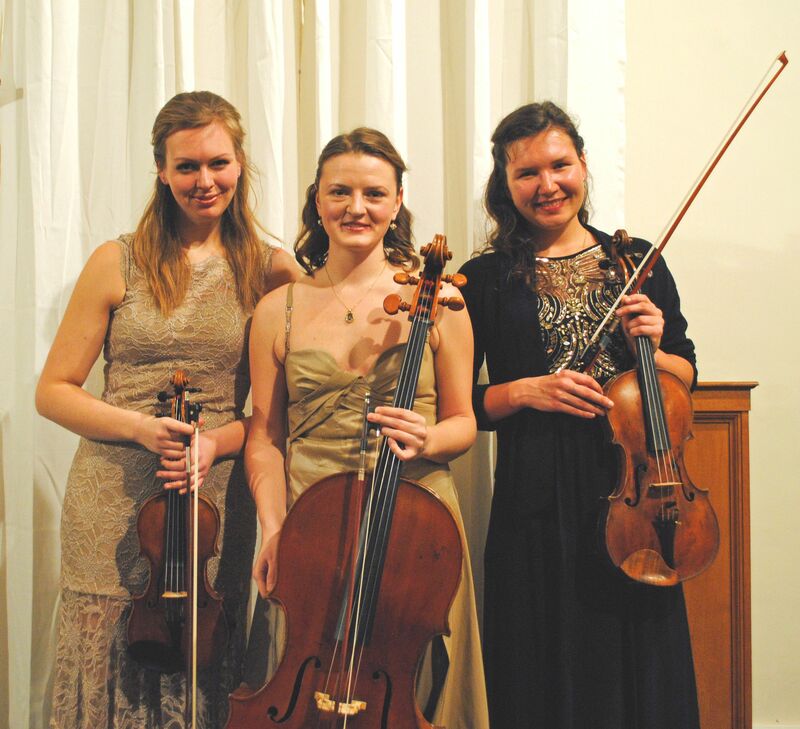 The music was performed by three highly talented string musicians Alexandra Lomeiko (violin), Ugne Tiskute (viola) and Tatiana Chernyshova (cello) assembled as the Goldberg Ensemble. 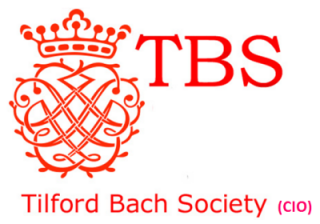 The performance itself was pure delight and revealed a unique insight to the way Bach created the 30 different variations on his basic aria with, as predicted by Matthew Taylor, the instruments singing their lines in a way not possible on keyboard instruments. “When I first wrote my transcription of Bach’s Goldberg Variations for String Trio, in 1984, it was both a labour of love and an obsession with the 1981 Glenn Gould recording. For two months I probably had the time of my life, musically speaking, being in the constant company of Johann Sebastian Bach and Glenn Gould. Generally, at that time, transcriptions were out of fashion and I recall that my own colleagues and managers were sceptical about such an audacious idea. Since then my transcriptions have been played all over the world, and moreover they have opened the floodgates of new interpretive possibilities for the piece which have included solo harp, wind instruments of all kinds, saxophone quartets, Renaissance viols and even a fascinating concoction of Uri Caine, among many others. I hope listeners will share in my life-long journey through the Goldberg Variations and my love of the music, indeed in the very first publication of the Variations, in 1742, J. S. Bach states that the spirit of the piece is “for the enjoyment of music lovers”. You can listen to Dmitry Sitkovetsky playing his transcription HERE .